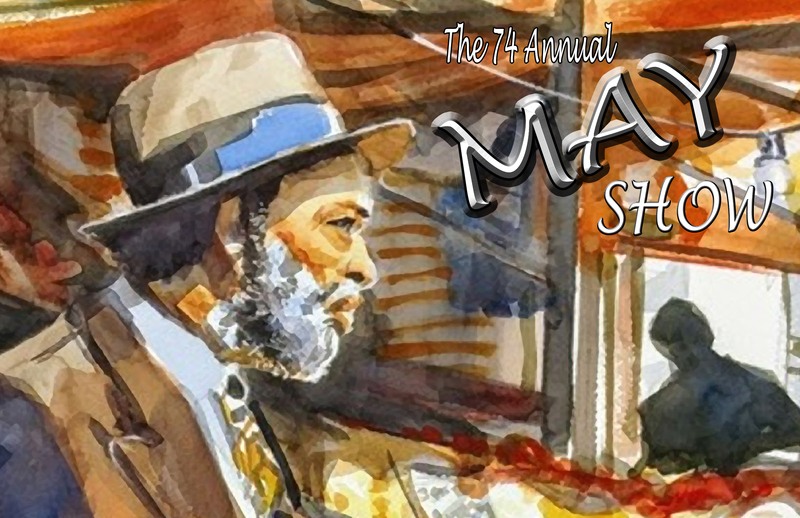 The 74 Annual May Show features over 150 selected works in a varitety of media showcasing the talent of artists throughout Ohio. We received over 450 entries this year, making it a challenge for guest Juror, Kevin Buckland. Thank you to everyone who submitted work for consideration. Stay tuned for Kevin’s statement about the 74 Annual May Show. Kevin has always had a passion for the arts. His painting style has been strongly influenced by highly detailed, realistic painters. He greatly appreciates the skill and discipline it takes to produce that level of work. Born and raised in Knox County, Ohio; his painting inspiration comes from what he knows and enjoys the rural Ohio landscape. Mostly a studio painter, occasionally Kevin will venture outdoors to paint on location. Kevin’s watercolor technique varies from dry brush, wet on wet, surface mixing, and various others that achieve the illusion of highly detailed colorful paintings. Each painting begins by carefully selecting a subject matter that evokes a feeling or has some special meaning to him. After carefully studying the subject he considers all the elements needed for a successful painting. Composition, color and technique along with years of practice is the formula for all his paintings. For over 30 years, Kevin and his wife, Pertain, own and operate Buckland Gillespie Design, an art and design studio offering creative services to small and large companies. Buckland is a Signature member of the Ohio Watercolor Society and Associate member of The American Watercolor Society. He is past president of the Westerville Art League. A member of and served as 2nd Vice President for The Central Ohio Watercolor Society. His paintings have won many awards. He and his wife have donated time and services to promote art throughout Ohio.